If you are planning a block party and would like us to stop by and say hi, call and let us know when your party is. If we are available that day we will try and stop by. We can give children an opportunity to look around the vehicles and answer any questions they may have. Contact Lt. Vito Bonomo at 630.627.1940 ext. 233 or bonomoIII@yorkcenterfire.org. File of Life is intended to assist and support first responders by providing vital medical information. The File of Life format is designed to be easy for patients to use and is immediately recognized by paramedics, firefighters and police nationwide. ​Download our ​File of Life Form and display it on your refrigerator. It’s important to help the public understand that with proper training and education, fire extinguishers can save lives and property. Many adults might not know how or when to use fire extinguishers. If your company, household or neighborhood would like a fire extinguisher demonstration contact us to set up an appointment. We can come to your home or business to explain when and how to use a fire extinguisher. Contact Lt. Vito Bonomo at 630.627.1940 ext. 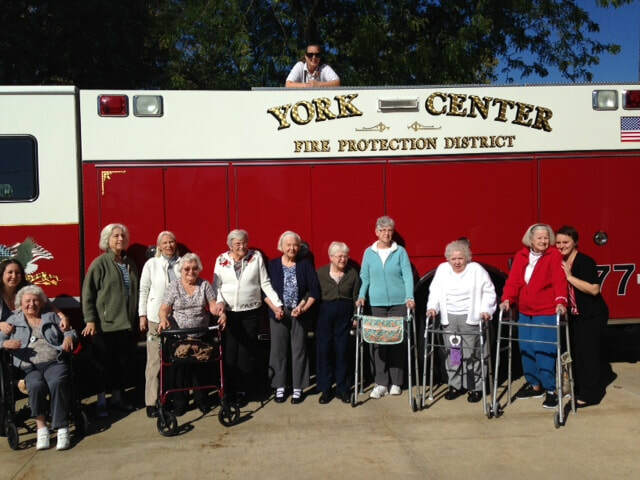 233 or bonomoIII@yorkcenterfire.org. In the Districts continued effort to save lives we have instituted our Safe Home Program, this program was developed to bring a greater level of safety to our residents. If you are a senior citizen or handicapped our Public Education Bureau will be happy to come out when the time changes and replace your smoke detector battery free of charge. Contact us at 630-627-1940 ext. 233 or bonomoIII@yorkcenterfire.org to schedule an appointment. 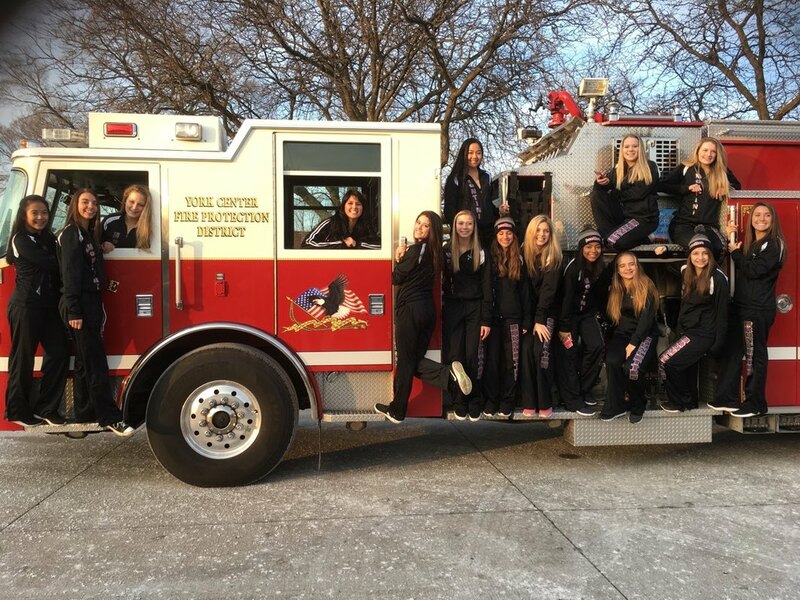 ​​Fire Station Tours are fun for everyone. We can accommodate station tours for any number of visitors. If you have a group interested in a tour, contact us at 630-627-1940 ext. 233 or bonomoIII@yorkcenterfire.org to schedule a date and time.